The African Cocoa Breeders Working Group (ACBWG) is currently supported by the WCF African Cocoa Initiative (WCF/ACI), a program supported by WCF and its industry partners and the U.S. Agency for International Development (USAID). The group originally evolved from the CFC/ICCO/Bioversity project 'Cocoa Germplasm Utilization and Conservation' in 2003 and received support from USDA and Mars Inc. through a project to improve breeding using molecular approaches in 2007. It subsequently became a thematic sub-group in the Sustainable Tree Crops Program (STCP), receiving support from a number of donors including USAID and WCF. Provide a forum for cocoa research institutions of the region and their partners to discuss ongoing research, share results, identify and refine priority areas for cooperation. 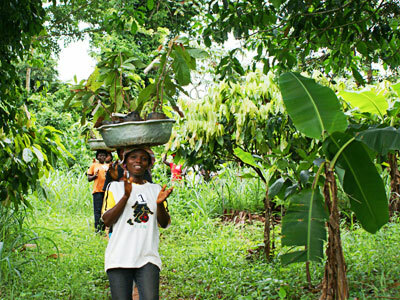 Identify and develop a regional approach to cocoa improvement in support of cocoa farmers and consumers.